Wolves run with the big dogs!! No raindrops on their heads, but plenty of water beneath their feet. Competing on a soggy course in Sequim Thursday, Coupeville High School’s cross country runners survived and thrived at the Olympic League Championships. 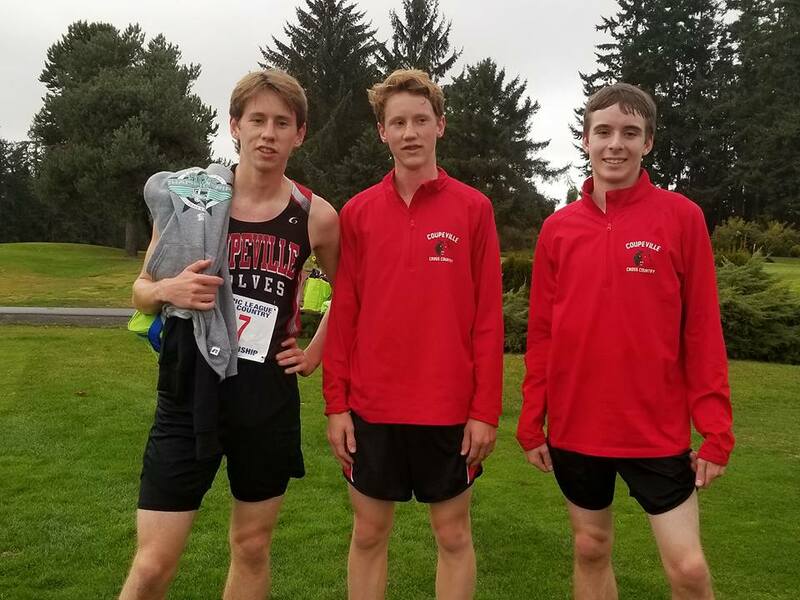 While the Wolf trio couldn’t make a dent in the team standings, not having a full seven-man roster, all three CHS harriers stayed upright and finished the 5,000 meter course at The Cedars at Dungeness Golf Course. Hitting that finish line was what mattered most, as that qualified Danny Conlisk, Henry Wynn and Sam Wynn for the district meet. That goes down Oct. 28 at University Place. While they can’t advance to the state meet as a team, if any of the Wolves finish in the top 14 at districts, they will punch individual tickets for the big dance. After training and traveling with South Whidbey all season, Coupeville’s trio struck out on their own for the postseason. The league championship, which pitted them against fellow 1A schools Port Townsend, Klahowya and Chimacum, as well as the conference’s seven 2A schools, was their first stop. Led by individual champ Lucas Becker, Klahowya held off 2A rivals Sequim and North Kitsap to win the boys title. Port Angeles captured the girls crown. Conlisk was the fastest Wolf on the afternoon, covering the course in 18 minutes, 8.67 seconds to claim 25th out of 64 runners. Henry Wynn was 54th in 19:43.10, while Sam Wynn set a PR (20:19.50) to claim 60th. 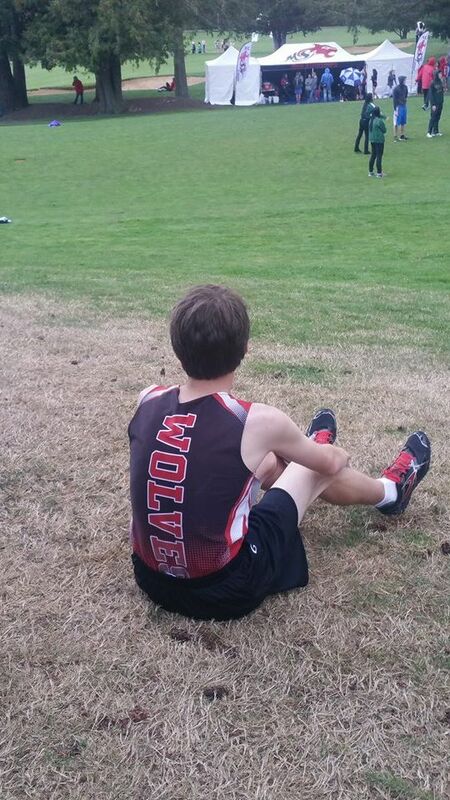 Sam Wynn’s performance was nearly a minute better than his previous best in a 5,000 meter race, which was 21:15. Conlisk and family, post race. 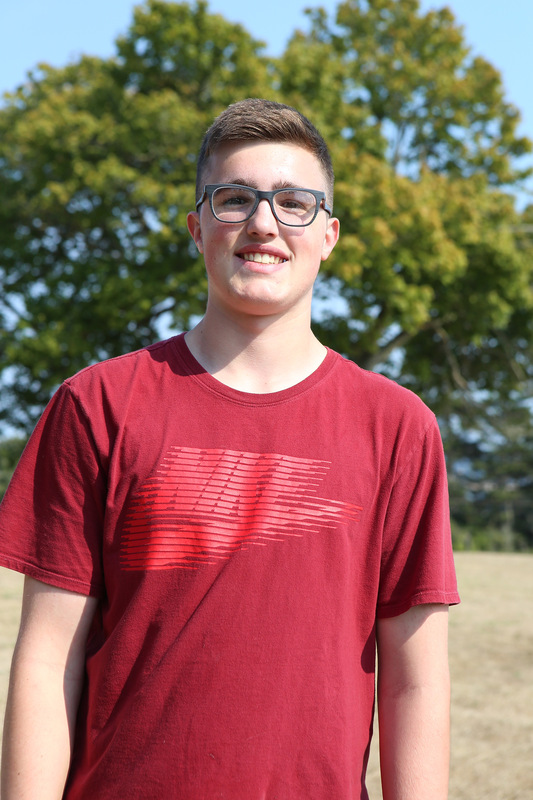 Coupeville High School sophomore Danny Conlisk has run in three cross country meets in his short prep career, and he’s dropped time every step of the way. 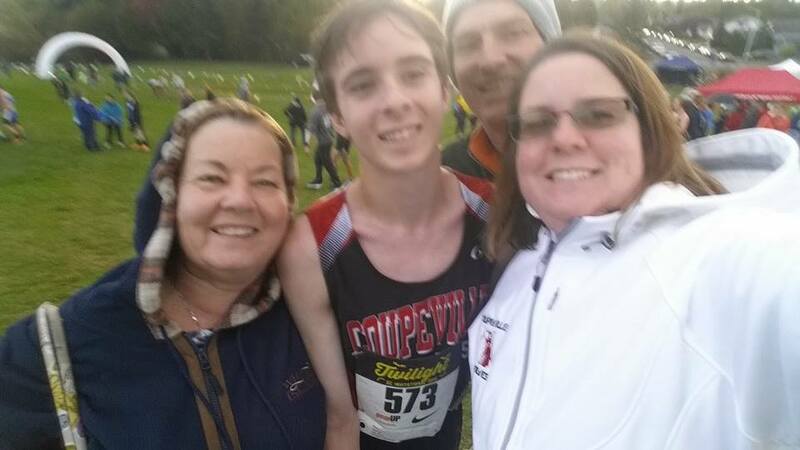 Saturday, running at the 10th annual Nike Twilight XC Invitational in Marysville, he busted his PR by a full minute and 12 seconds, covering 5,000 meters in 18:35.99. That put him up in the top half of his race, the varsity boys’ 1B-2A heat, as he claimed 93rd in a field of 198 runners. The event drew thousands of harriers to the Cedarcrest Golf Course, with 12 different races being run — six each for boys and girls. Conlisk’s race pitted runners from 1B, 2B, 1A and 2A schools against each other, and he was joined by his training and traveling partners from South Whidbey. 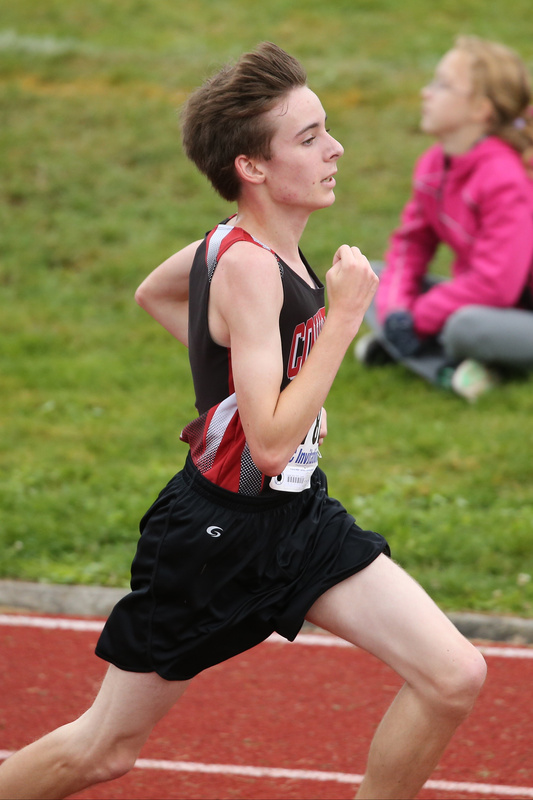 Silas Griffith, a senior from 2A Ridgefield who finished 5th at state last year, won the race in 15:37.14. 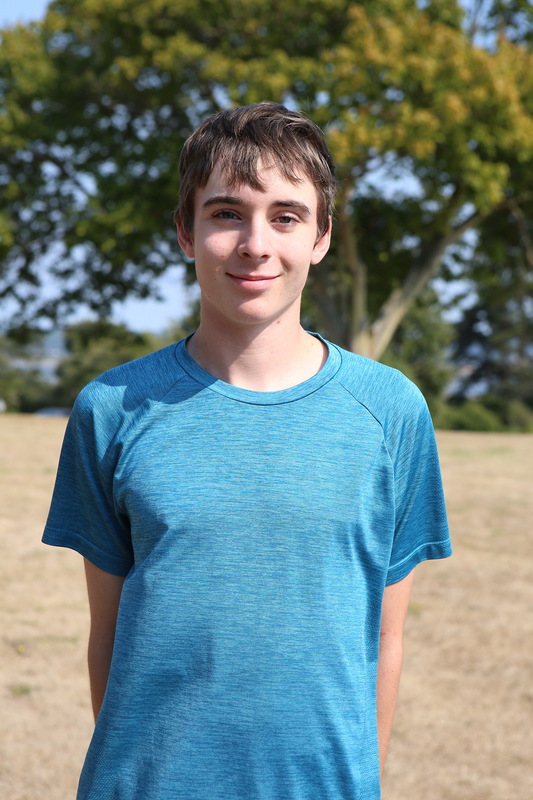 Coupeville’s only other runner this season, junior Henry Wynn, skipped the race to be at his dad’s 50th birthday party. 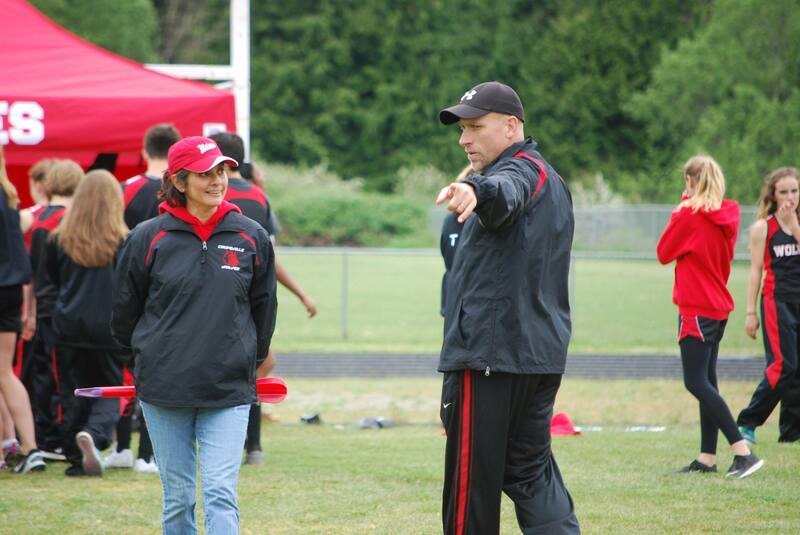 The Wolf duo have two more regular season races (Oct. 6 at South Whidbey and Oct. 13 at King’s), then break away from the Falcons for the postseason. We’ve come for all your PRs! All of them!! Cresting right at the end. 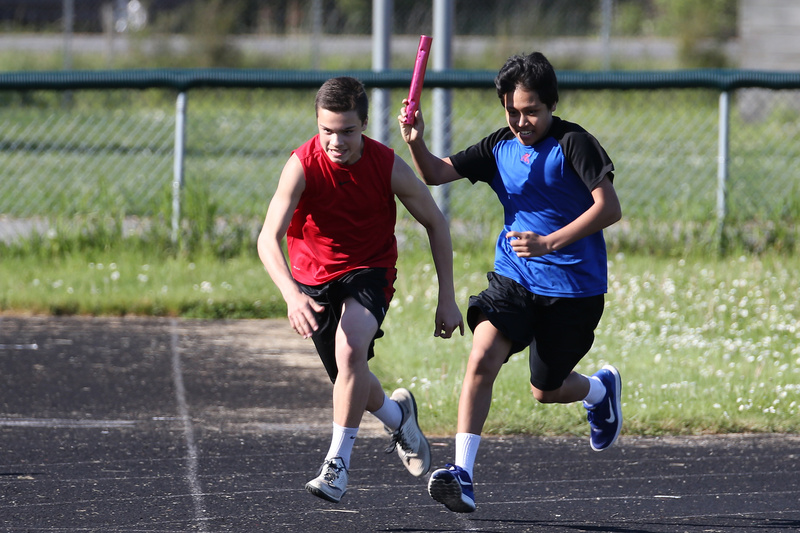 That’s what the Coupeville Middle School track and field team is doing, notching tons of PRs as they head towards the finish line of the season. 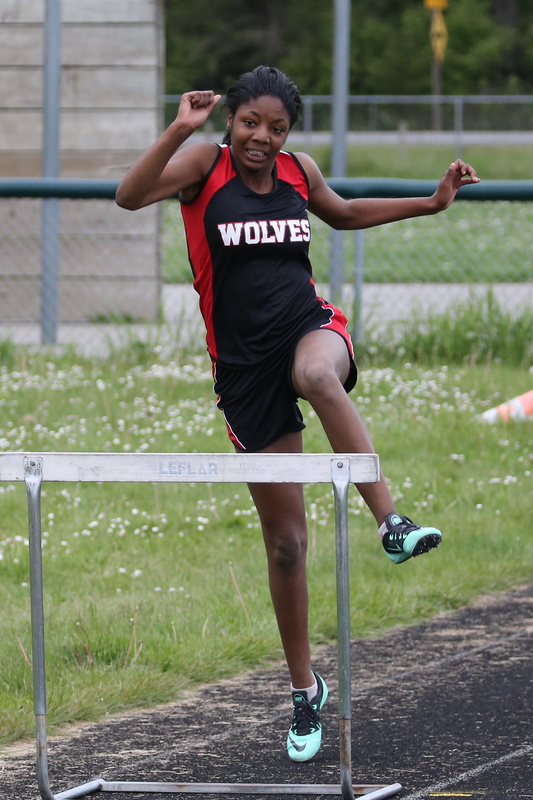 Competing at a three-team meet in Port Angeles Tuesday, the Wolves compiled an astounding 35 personal bests as they prepped for the season finale. 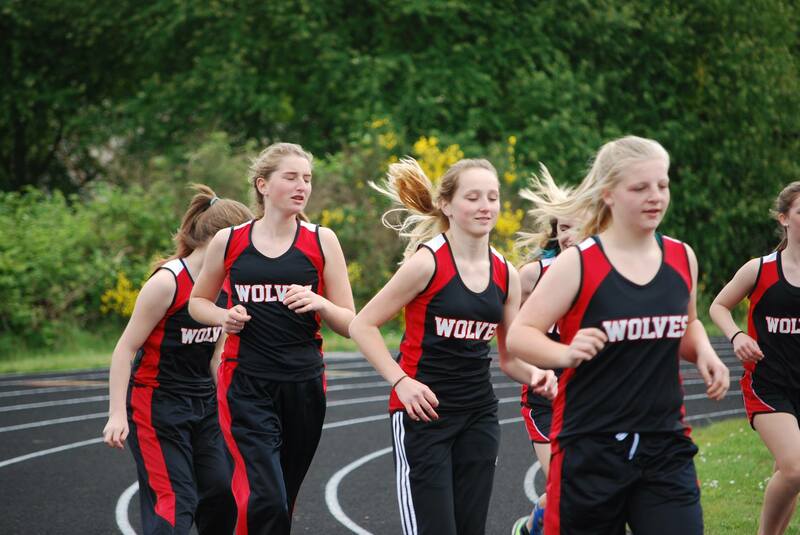 That comes Wednesday, May 25, when CMS travels to Sequim for the league meet. For now, they can bask in the afterglow of a strong afternoon on the oval and in the field, where Jillian Mayne (long jump, javelin, shot put) and Matthew Kelley (long jump, discus, high jump) paced the squad with three PRs apiece.